Best unit under $290K! Completely renovated high floor unit with spectacular ocean, mountain and sunset views! 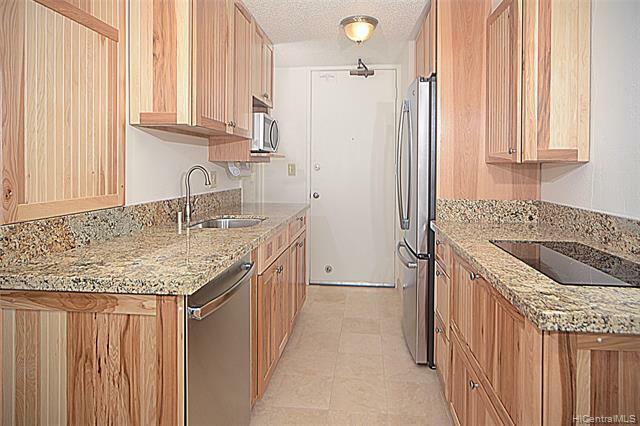 All new stainless steel appliances, granite counters, new cabinets, and extra storage added. Renovated bath tiled shower and designer sink. Central Waikiki location close to beach, shopping, nightlife, dining, and FUN! Great amenities include pool, spa, sauna, laundry, gym, convenience store, and huge recreational deck. Turnkey furnished!